I'm not sure what to make of Ryan Braun's suspension and then non-suspension. When I first heard that Ryan had failed a drug test, I was incredibly disappointed. He has such a great story, the hometown kid becoming the star of a small-market team who in turn, becomes one of the best players in all of baseball. I read the articles, watched the news reports and thought, "How could anyone be so dumb." And to make it worse, it all came to light right after Ryan won the NL MVP award. One word. Tainted. Followed by three words. Fifty game suspension. Stinks to be a Brewers fan. First Prince leaves and then your best player is out for the first fifty games of the season. Not how you want 2012 to start. But then last Friday happened. The independent arbitrator (who is appointed jointly by baseball and the players’ union) ruled that Ryan should be cleared on a technicality. A two day delay in the chain of custody left too much uncertainty in the validity of the drug test. As for me, I'm not sure what to think, but here I go. un-tainted? Three, I think there's going to be a lot of finger-pointing going on. Who messed up? Was Ryan Braun innocent all along or was he just lucky? The arbitrator must issue his written decision within 30 days of his findings. I can't wait to read it. Tommy Hanson is in camp and he did some light throwing today after sitting out a few days due to a concussion he suffered in a car wreck last Monday. He says his shoulder feels great. My fingers are crossed! Chipper Jones is not fat (he's actually seven pounds lighter than usual) but the team, especially Brian McCann are having fun with fact that the rumor and photo are floating around. Seriously folks, would Chipper Jones ever show up at Spring Training with a spare tire? I think not. Ryan Howard left the Phillies camp after suffering what Charlie Manuel called "a little setback". GM Ruben Amaro called it a "routine check up." Ryan is headed to Baltimore to visit the surgeon who performed the surgery on his torn left Achilles tendon. I don't think we'll see Ryan in the line-up on Opening Day. Bobby V banned booze in the Red Sox clubhouse. That was a definite no-brainer. 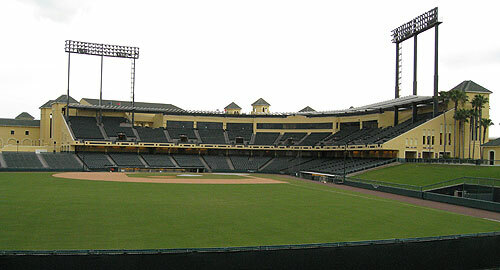 I want to wish all of you a very happy First Day of Spring Training!! 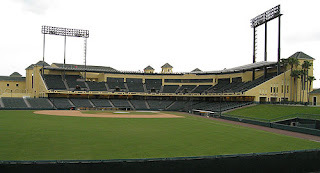 If you've never gone to Spring Training, I highly recommend you do so. I've gone several times and each time it was a total blast! t-shirts and if you're me, stock up on sunscreen. And don't forget, single game tickets go on sale next week. It's almost time to PLAY BALL! 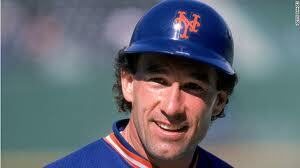 Baseball lost one of it's good guys this week with the passing of Gary Carter. In a world where athletes are idolized and often placed on a pedestal for all the wrong reasons and sometimes even rewarded for bad behavior, Gary was the quintessential good guy. He played every baseball game with the passion of a young boy and he never forgot to show his appreciation for his fans and baseball fans everywhere. Gary fought his diagnosis valiantly and gracefully with his family by his side. Baseball lost one of it's finest ambassadors, "The Kid", much too young. 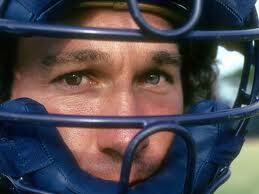 We can only hope that today's young players take a chapter from Gary Carter and learn to live right and play right. Knuckleballer Tim Wakefield retired after 19 years in the major leagues. 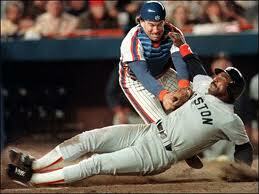 Best known for 17 seasons with the Bo Sox, Wakefield was drafted by the Pirates and spent his first two seasons there. I remember those tortuous years (1992 & 1993) well. Now, Mets pitcher R.A. Dickey is the only true knuckleballer in the game. I had a whole different plan for today's post until last night. As many of you know, I'm a music person, through and through. I feel like I have musical notes running through my veins and I always have songs playing in my head. So when I heard the tragic news about Whitney Houston last night, I was shocked at first, then incredibly sad and extremely reflective. I was working at Turtle's when Whitney's first CD came out. Everyone was awed by her talent and beauty. So many gifts were given to one person and we all knew she'd go far. Not even the sky would limit her. But we are all human and Whitney had her flaws. We've see similar stories in so many different walks of life. River Phoenix and Heath Ledger. Len Bias. Aaron Douglas of the Crimson Tide. Derek Boogaard of the NHL. And in baseball, journeyman Ken Caminiti. Some made one fatal mistake. Others were caught in a long downward spiral. It's hard to understand. They seemed to have it all. They didn't. We all know what ties Whitney Houston to the sporting world. 1991. Super Bowl XXV in Tampa. Whitney re-wrote the book on how our National Anthem should be performed. From now until the end of time, no matter how brilliantly any artist performs that song, the comment will be, "Yes, it was good, but it wasn't as good as Whitney Houston." In fact, Whitney's rendition was so good and so uplifting that it was released as a CD single. It flew off the shelves. I still have one. I heard someone compare Whitney Houston's tragic life to that of Judy Garland. I thought it was a a good comparison. So much talent destroyed by personal demons and bad choices. I know quite a few people who encountered Whitney when she lived in Atlanta. Some said she was breathtaking and kind. Others said she was barely recognizable. I want to remember her as the diva who lifted a nation and drew us together when we so desperately needed it. Josh Hamilton slipped. Monday night he had three or four drinks at a restaurant in Dallas. It's the news that no one wanted to hear but as always, Josh was very open and up front about his misstep. In Friday's press conference Josh said the slip was due to "personal reasons with a family member." He drank at two different establishments and at one point, he called Ian Kinsler to come hang out with him. Josh said that he is good at hiding drinking. He said that Ian had no idea that he had been drinking and he did not drink in front of him. The two talked about baseball and their families until Ian had to leave. Then Josh drank some more. He said he didn't do any drugs and has taken two drug tests since Monday. Josh was very humble throughout the press conference. He said he wouldn't elaborate on the personal reasons for drinking. He spoke of how his actions have hurt people and he apologized to his family, the Rangers and his fans. He was incredibly contrite and said, "I can't take a break from my recovery." He went on the say that if he does, it can lead to a moment of weakness. Josh said he needs to focus on his relationship with the Lord as much as he focuses on playing hard on the field. This is the second time that Josh has slipped. Both times it was during the off season, when there is less structure in his life. Johnny Narron has been Josh's accountability coach for the last four years but he was recently hired as the Brewers hitting coach. Josh's father-in-law was set to take over that role but he had to withdraw "due to family considerations." The Rangers were in the process of hiring someone at the time of relapse. Rangers GM Jon Daniel said "Josh has an addiction, he has a disease. It's something that needs to be dealt with, and he needs help from the people around him. Not just me, but everybody in the organization, when we heard about this, the thought was not about how it impacts the club but our thoughts were about his wife Katie, his daughters and how he was going to get through this. That's where we are. We want to make sure we support him on this." Everyone knows that Josh cannot handle his sobriety alone. Even with the strong support system that surrounds him, Josh faltered. I can't imagine what it's like to be Josh Hamilton. He should have what would appear to be the perfect life. A professional baseball player with amazing talent, a beautiful and devoted wife and children, an organization and a city that cherishes him. But the other side of Josh is that he is battling his demons every moment of every day. I have friends who have similar battles, some have succeeded in finding a way to break the grip of addiction and abuse. Others have paid the ultimate price. We all want Josh to succeed. But we must remember even someone with super powers on the baseball field is still very, very human.